The versatility of a white belt is great. You can pair it with a pair of white pants and hide the fact that you are wearing one altogether, or you can pair it with some black pants to get some stylish contrast. White Leather Belt For All Buckles comes in sizes 28'' TO 54'' for Men and Women - Ideal for any genuine belt buckle as it has two nifty snaps that fasten around the buckle. Sold by Dozen. All belts measure 1.5 inches wide. 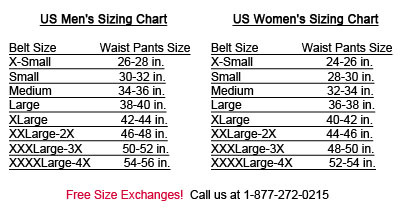 Sizes: 2 Small (30-32), 4 Medium (34-36), 4 Large (38-40), and 2 XL (42-44) Each order contains 12 belts.